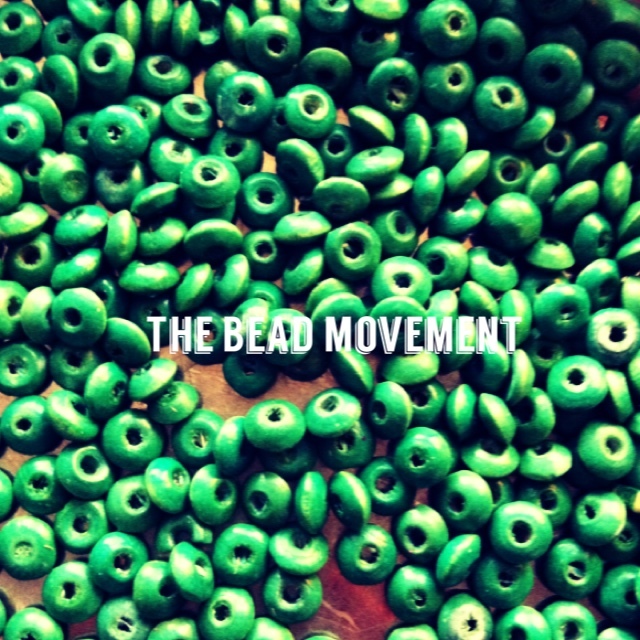 Wow, we have done our first year of The Bead Movement. It’s been 365 beads moved from one jar to another. I’ve been moving beads in the state of fear, anxiety, sadness, happiness, love, and in pure bliss and gratefulness. The beads have been with me in the States, Spain, France, Denmark, Germany, Switzerland, Italy and of course in Sweden where they and I live. As I look back on this year, it’s been a year of transformation. And to be honest, a lot of it has to do with the beads. Of course the transformation doesn’t solely have to do with the beads, but in some aspects it most certainly does. The main reason for starting this little movement was to seize the moment, to live in the now, and make sure my life doesn’t just pass me by. That has definitely come true, and it was no luck or magic, but a daily action. During this year I have become in charge of my own life in a different way than I was before. I constantly (with gratefulness) today CHOOSE what I want to spend my time doing, instead of just continue on living like I always have, or being swept away by other people’s agendas. And the thing is, that active DECISION I make is filled with so many opportunities and great situations I previously missed when I lived a life (like many others) always on the go towards the next thing in life of what I thought I SHOULD do. When I now choose what I want to spend my day doing (of course I fail sometimes and of course I am far from living a divine and enlightened life – but closer than one year ago) it’s a choice of magic. I try to go all in, and I’m getting better at it. If I spend time with a friend, I give them my complete presence, because I want to. I usually set my phone on silent mode, so nothing will disturb us. In a conversation I choose to let all other things go and give it my full attention. This choice has had tremendous impact on me. It has given me a profound sense of gratefulness for the people in my life and what I am experiencing. I more often experience a feeling of bliss and pure happiness. I more often feel calm and more balanced than I felt before. I am more frequently living in the now and let go of everything else. I feel abundant, and more often than before, I feel free. I love more wholeheartedly and with greater passion. I share more freely in my personal and professional life. I live a life closer to my heart’s deepest desires and I feel a stronger sense of meaningfulness and a greater sense of purpose. And in Mhairi, my co-beader, I have found an amazing, inspiring and abundantly kind and graceful friend, with whom I weekly share, learn the lessons and unfold this adventure called life. One bead a day, has truly had an impact.